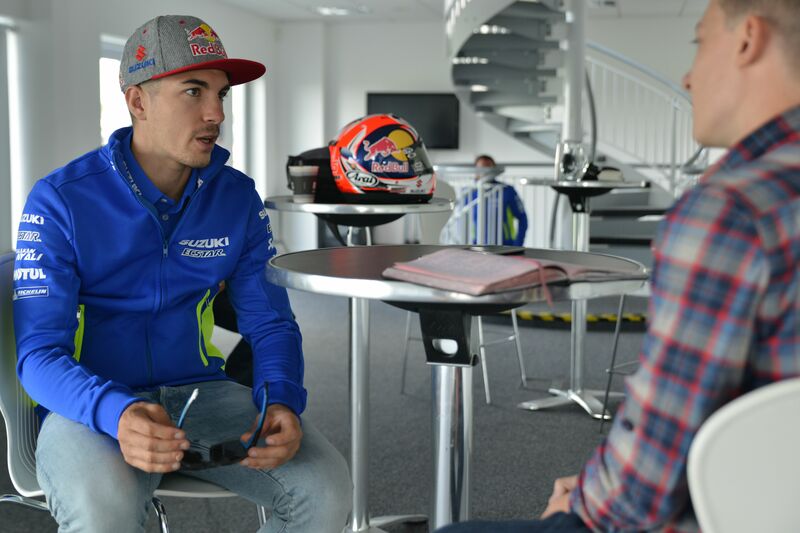 WE CAN'T help but wonder whether we’re the reason Maverick Viñales bagged his first MotoGP win at the British GP. 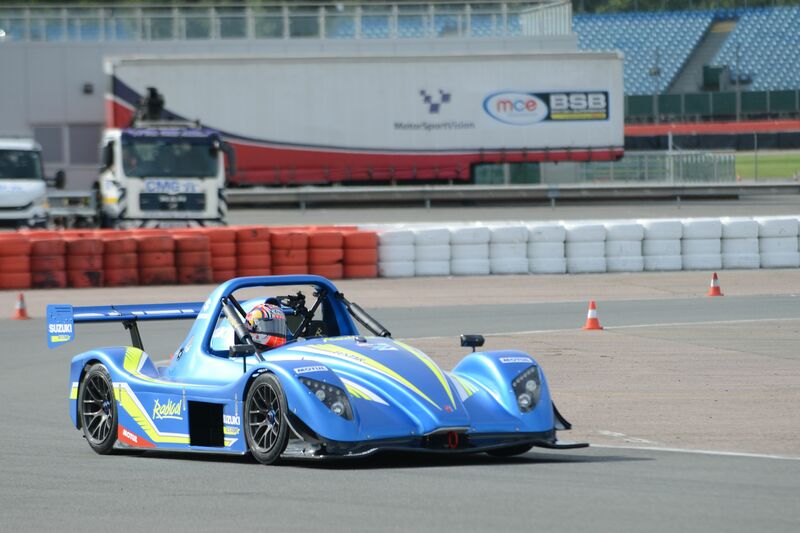 Alright maybe not, but on the Thursday before the race, we managed to catch up with him at Silverstone and got five minutes to ask some questions (and offer some sage advice) before he got back to the serious business of caning around Stowe circuit in a Hayabusa-powered Radical. Aside from winning from winning Moto3, what’s been the greatest moment in your career so far, and why? For me, it was the last part of Moto2, when I won three of the last five races. It was so good and as a team we enjoyed it so much. And then this year when I got my first MotoGP podium [at the French GP at Le Mans], that was a special moment for me. How do you feel about next year? Yeah, I feel really motivated, you know? When you go to a team like Yamaha you know that you need to be prepared and realise that you have to work so hard. I’ve already started to prepare for next season – I’m already training. What’s your relationship like with Valentino Rossi? It’s quite good. We are quite friendly with each other. Also on the track, we are riders that don’t…. well, you know… when I lose, I accept that other riders were better than me. Both of us are riders that are quite calm and I think as teammates, it’s going to work. Do you think Rossi will be someone you can learn from? At this level it’s difficult to learn about riding but last year I learn to much from Aleix [Espargaro] because he’s an experienced rider so I learnt a lot from how he worked in the team and Valentino is even more experienced so I think I can learn a lot from the way he works. Did you exchange information with Aleix in the garage? No, we always do our own work, but at the end of the day the technical guys put together data and work on problems, but as riders we operate alone. But, you know… when we’re having dinner together for sure we talk about what we try and if it was good, not working, you know? You’re not one of the oldest, most experienced riders in the MotoGP paddock, but you’re enjoying some good results this year and people are talking about you and you’re moving to a very strong team next year; your career is flourishing right now – how do you cope with that hype? Is it difficult? [Laughs] No, it’s really good. Difficult would be if next year I didn’t have a ride in MotoGP, but going to a team like Yamaha? That’s so great and I feel so motivated because I’m doing what I like with one of the best teams. Are you going to be MotoGP world champion on the Yamaha in 2018? I hope so and that’s what I’m working for. I think my ability and riding style is there, I just need to keep working. I’m always leaning and this year I’m learning a lot with Suzuki and I feel like I improve my riding style with each race so I think I can be on the level needed to be at the front. At the moment, you’re battling hard and you’ve been rewarded with a podium. Do you think that making the switch to Yamaha will make it easier to push for strong results? Honestly, I think my experience will help but right now with Suzuki I know that I can be near the front because many times I’ve been there for so many laps, fighting other riders. So I think that the experience I gain between now and the end of the season will be what helps me next year. Who is your favourite rider ever, and why? Ah, it’s Valentino. And why? It’s because he’s been riding for so many years and has always been successful and as the times chance and the level of riding improves so much, he’s still there at the top – this is something great. And have you got a plan for a winning weekend at Silverstone? Well, we will start working on settings and the qualifying once we get to ride tomorrow. Because you should just get your head down, and go out there and pin it.